Contest calls for better nutrition label design, but would that be enough? The nutrition label hasn’t changed for 20 years. And in that same length of time, the average American has gained about 25 pounds. While nutrition labels aren’t entirely to blame, of course, anyone who’s ever flipped over the cereal box knows this essential information is an indecipherable maze of trans-fats and serving sizes. So in a contest that ends July 1st, GOOD magazine and UC Berkeley’s News 21 journalism school have teamed up to sponsor a contest to redesign the food label. Judges include food writer Michael Pollan and Dr. Robert Lustig, a pediatrician and endocrinologist who has a big beef with sugary foods. Since the website gives no indication that the Food and Drug Administration is eagerly awaiting the outcome of this contest, we have to assume that its purpose isn’t practical, but political: to let the authorities know that we, the people, demand something better. And oh look, we already designed it. This is a desperately needed step in the right direction. But would a new nutrition label be enough to fix the problem? The nutrition label is certainly confusing, but at least its information is accurate. The bigger problem might be the front-of-the-box labels. These eye-catching exclamations are not just confusing. They’re misleading. 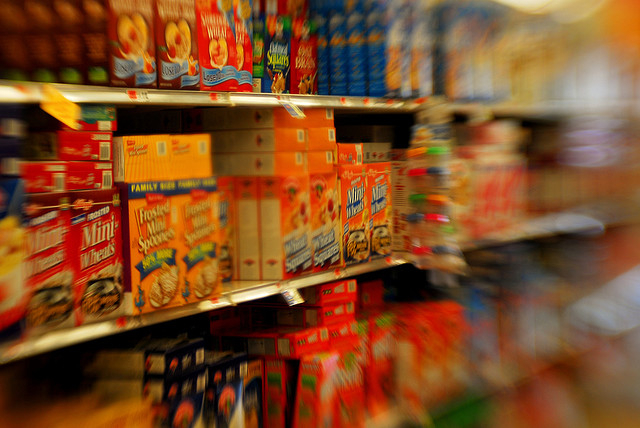 Consider this familiar scenario: you dash down the cereal aisle on your way home from work and find yourself faced with an overwhelming array of health claims. “Low in trans fats!” “All-natural!” “Calcium builds strong bones!” the labels scream at you. You’re lost in a sea of cereal. Is it better to go low-fat or fiber-plus? Organic or sustainable? And more importantly, can you trust the words on the box? It’s reasonable to assume that, since these front-of-the-box claims are aimed at consumers, they must be reviewed by the government, right? Wrong. The regulations on these kind of nutritional claims are ineffective, allowing manufacturers use tricky wording to get by the rules and fool the buyers. 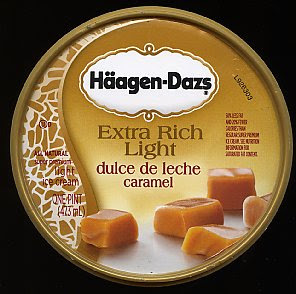 The Nutrition Labeling and Education Act, enacted in 1990, gave the Food and Drug Administration the authority to define some terms, like “light” (often seen on ice cream) Regulations require that health and nutrition claims must be truthful and not misleading. But food companies often ignore that second requirement, and get away with it. One way these labels intentionally deceive is by drawing the buyer’s attention to one health benefit while keeping quiet about the bad stuff. Yogurt, for example, may be truly “fat free!” but to bump up the flavor in the absence of tasty fats, the manufacturer packs its product full of sugar until it’s no longer a healthy breakfast choice. Like a pickpocket who distracts you with a body bump on a crowded train while he steals your wallet, the food company uses misdirection to con you into swallowing the illusion: a food item that’s both sinfully tasty and entirely guilt-free. Companies also use labeling to fool us into thinking we’re being more environmentally friendly than we are. Rules governing the use of specific words vary. Eggs might be advertised as “free-range,” but the Department of Agriculture doesn’t define how large an outdoor area the chickens have access to, or how long they get to use it. Many get hardly more time in the sunlight than their caged counterparts. Likewise, “natural” has no restrictions on its definition; it sounds earth-friendly, but it’s meaningless. Of course, the product’s complete nutritional information is available—in fact, it’s right there on the back of the box. Shouldn’t that be sufficient? It isn’t. A 2006 study published in The American Journal of Preventive Medicine showed that most adults have trouble with nutrition labels: only 32 percent could correctly calculate the amount of carbohydrates in a bottle of soda. This doesn’t even address the really challenging problems, like understanding how a carbohydrate is processed by the body, and how it relates to overall health. This, of course, is a problem the new food label contest could help solve. It’s imperative that buyers are able to decipher the contents of the foods they’re eating. A better nutrition label is essential—but first, of course, it has to be implemented. Fortunately, the FDA seems to be recognizing that something needs to be done. In 2010, it cracked down on two dozen products, among them something called (terrifyingly) “Nestlé Juicy Juice Brain Development Fruit Juice Beverage.” (The company makes this claim because spikes the juice with omega-3 fatty acids, which are important for ensuring proper neonatal brain development—but they won’t make your toddler smarter.) However, this strategy of targeting individual products is akin to music companies suing individual teenagers for illegal music downloading. It just won’t be enough to scare everyone into stopping. As they have in the past, corporations will continue to find new and clever ways to mis-market their products. A much more drastic overhaul is needed. New York University nutrition expert Marion Nestle has an extreme solution: remove all front-of-the-box labels, forcing consumers to learn to read the nutrition label on the back. But the research doesn’t indicate that buyers will be much better off if forced to go only by the current label. Here’s where a new, user-friendly food label would step in: with no front-of-the box labels to mislead and a simplified nutritional label, buyers could find out what’s actually going on in their food—and know what they’re putting in their bodies. To complement reading food labels, consumers can also consult online databases with sugar and fructose data in common foods such as at http://dietgrail.com/fructose .